My name is Professor Yochanan Altman and I am a Professor of International Human Resource Management at Middlesex University. I am trained in Psychology and have a PhD in Anthropology. In addition to being a recognised academic expert in comparative management, as well as a pioneer of the spirituality at work movement, I also have a personal fascination in the life cycle of vineyards and the spiritual enterprise involved in their running. As a cultural nomad who has held academic appointments in four countries and visiting appointments in over twenty, this interest was ignited during the five years I spent in Bordeaux. It is this interest that led to me wanting to capture the day-to-day life cycle of a vineyard and how my crowdfunding project was born. For me, winemaking is a spiritual enterprise given the volatility, uncertainty, complexity and ambiguity (‘VUCA’ in common acronym) that characterise the industry. It is deeply ingrained belief, resilience and grit that are the necessary traits of a good winemaker. 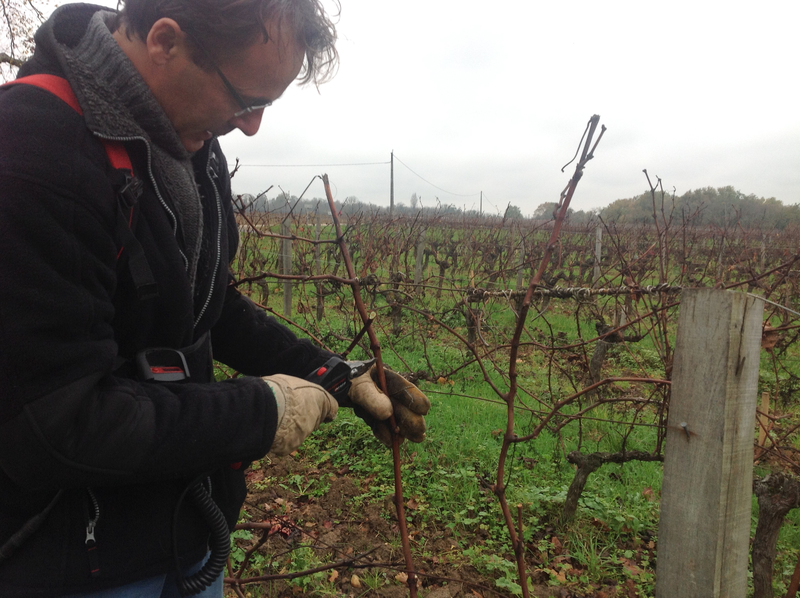 Through my crowdfunding campaign I am hoping to raise the necessary funds to complete a personal research project into the day-to-day running of a vineyard. This will document the annual cycle of wine production, looking at a host of relevant elements (e.g. agriculture, technology, climate, wine sciences, logistics, marketing and sales, people and finance), as well as internal matters (e.g. family relations and community affairs), and external issues (e.g. local and national politics, industry specifics, economic climate), all set within a holistic framework. My intention is to distill the results into an insightful book for the general public. My study will centre around regular trips to Chateau Guibeau ( http://www.chateau-guibeau.com/ ), a family owned vineyard in the famed St Emilion region of Bordeaux in France. There is a perceived glamour associated with St. Emilion wines given their royal seal dating back to the early 12th Century. This external gloss hides a craft requiring skill, know-how, hard work and the ability to cope with high levels of risk. At best, being a winemaker begets mediocre compensation and a bad year can sink a vineyard into bankruptcy. Chateau Guibeau provides all the ‘ingredients’ to make a truly fascinating study. With 45 hectares of vines, a staff of nine all sourced from the local community (rising to some 20 during the harvest season) and an in-house oenologist from the world-renowned laboratory of Michel Rolland, Chateau Guibeau handle all aspects of wine growing and production. This includes marketing and distribution. Five years ago they went organic with the express desire to craft wines from what Mother Nature bestowed upon their terrain, with minimal artificial interference. 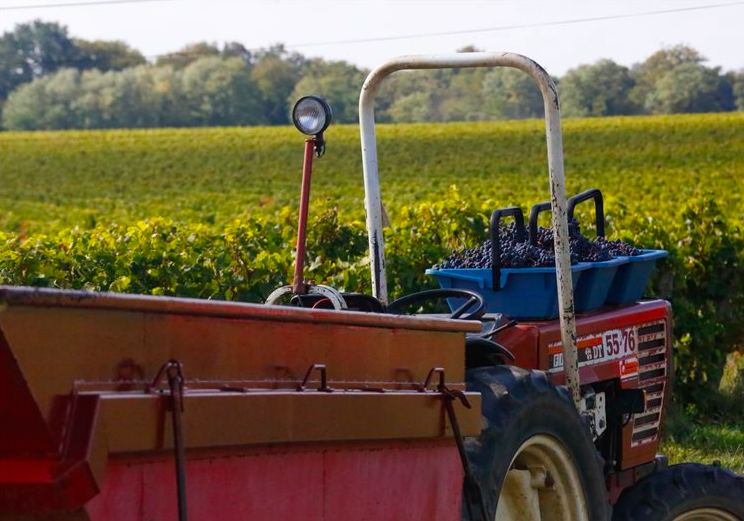 The volatility, uncertainty, complexity and ambiguity of winemaking was in full evidence late this April (2017) when the temperature in the St. Emilion area dipped to -7 C. The ensuing frost resulted in the loss of more than half the yield and there is real concern about the quality of the remaining grapes. It was the most severe frost in a quarter of a century, impacting the whole area and numerous people and businesses from the region who depend economically on the vineyards: the local workforce, support sectors and businesses and those who give wine tours, among others. The length of time and intricate processes required for grapes to reach the table as a refined bottle of wine mean the effect of this frost will last for years to come. My intention is to spend time ‘on the ground’ to gather data for my study. During my visits, I will use typical ethnographic tools such as participant observation, the documentation of life histories, and analysis of primary and secondary data; as well as photo documentation. So far I have managed to complete a one-year study of the wine production cycle. Two more annual cycles are planned. This will enable me to factor in the many variables that characterise winemaking, as one season can be very different from another (the frost in April being a prime example of this). To complete the project, I would ideally like to raise £5,000 to fund ten trips to the vineyard throughout the changing seasons over the next two years. This will allow me to build a really comprehensive picture of what it takes to run a vineyard and fully understand the challenges faced by vintners. 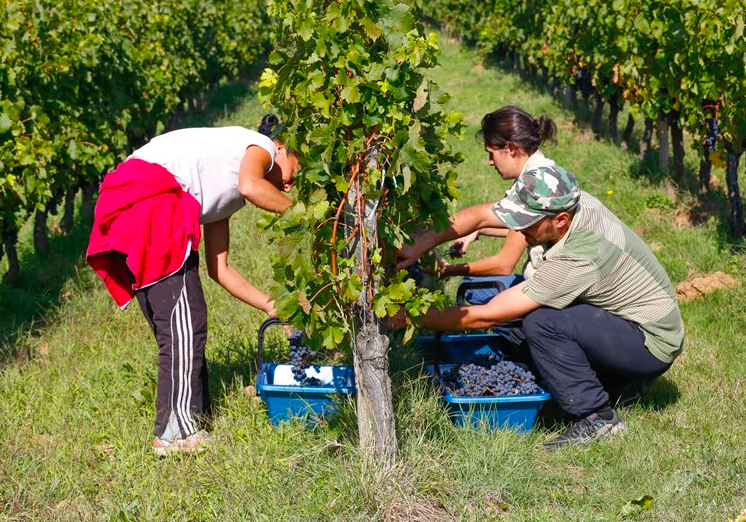 The bare minimum I would need to be able to complete top level research into the vineyard is £2,000, which would be used to fund four trips over the next two years. If I raise more than £5,000? In light of the frost devastation faced by Chateau Guibeau this year and the ramifications for both the workforce and local community, I would like to donate anything I raise above my £5,000 target to the Chateau and its local community. The end result of my project is envisaged to be a book with various chapters (and photos! I take photos on each visit) that recount different aspects of life at Chateau Guibeau. It will use narrative and imagery to tell the story of vine cultivation through to the later winemaking phase and subsequent sales process. The chapters will document key events within the vineyard's annual life cycle, offering commentary on daily life at the vineyard, insight into the business strategy and an overview of the challenges faced. It will also build a picture of Chateau Guibeau's main protagonists and their life stories. In the event this campaign is of interest to overseas donors, here is a rough idea of the Euro/Dollar exchange rate for the various donation levels listed on this page. Please note, PayPal will automatically convert any donations made overseas into Sterling when it collects these. To find out more, please message me through MDXCrowdfund. Thank you for taking the time to learn more about my project. I hope it is of interest to you and even if you can't donate, you can still support me by spreading the word to your own networks, particularly individuals you think may have an interest in wine, viticulture or the St Emilion region of France! A contribution of £15 will see you entered into a prize draw for one case of 12 bottles of ‘Chateau GUIBOT La Fourvieille’. Buying the same wine (when available at a wine merchant) may set you back £50 or more. Only one case is on offer! A contribution of £25 gets you ONE raffle ticket for a prize draw that will see TWO LUCKY WINNERS receive a Magnum bottle of ‘Chateau GUIBEAU Grand Reserve’ (1.5L) from the outstanding 2015 vintage year, due to be released in June 2017. 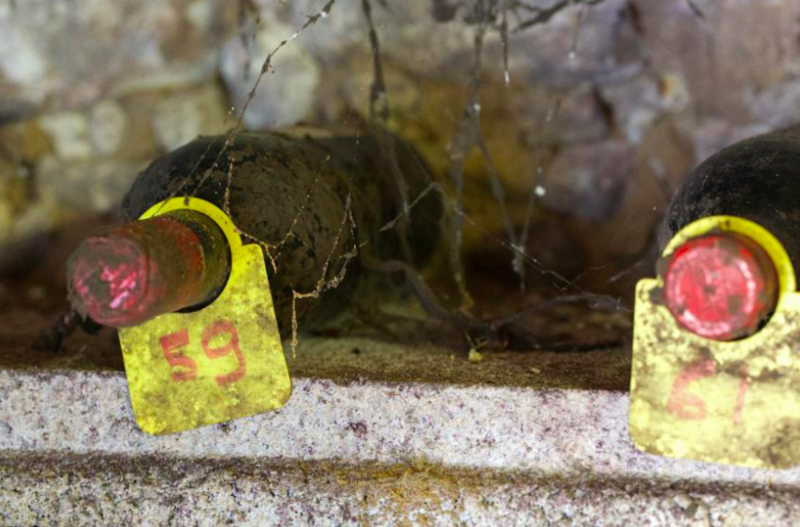 This rare wine is produced in very limited quantities and only available directly from the vineyard. A contribution of £50 gets you THREE raffle tickets for a prize draw that will see TWO LUCKY WINNERS receive a Magnum bottle of ‘Chateau GUIBEAU Grand Reserve’ (1.5L) from the outstanding 2015 vintage year, due to be released in June 2017. This rare wine is produced in very limited quantities and only available directly from the vineyard. A contribution of £75 gets you FIVE raffle tickets for a prize draw that will see TWO LUCKY WINNERS receive a Magnum bottle of ‘Chateau GUIBEAU Grand Reserve’ (1.5L) from the outstanding 2015 vintage year, due to be released in June 2017. This rare wine is produced in very limited quantities and only available directly from the vineyard. A contribution of £150 gets you TWELVE raffle tickets for a prize draw that will see TWO LUCKY WINNERS receive a Magnum bottle of ‘Chateau GUIBEAU Grand Reserve’ (1.5L) from the outstanding 2015 vintage year, due to be released in June 2017. This rare wine is produced in very limited quantities and only available directly from the vineyard. A contribution of £250 gets you TWENTY raffle tickets for a prize draw that will see TWO LUCKY WINNERS receive a Magnum bottle of ‘Chateau GUIBEAU Grand Reserve’ (1.5L) from the outstanding 2015 vintage year, due to be released in June 2017. This rare wine is produced in very limited quantities and only available directly from the vineyard. A contribution of £350 will qualify you for entry into a draw that will see THREE LUCKY WINNERS receive use of the on-site, self-catering gite at Chateau Gibeau for a weekend. This comprises three bedrooms, a lounge, kitchen and bathroom (http://www.chateau-guibeau.com/visite-vignoble-vente-vins-bordeaux.php). The gite accommodates up to six people and will include a guided tour of the vineyard and wine tasting. In high season, this would cost £500 for a two night stay. This level of donation will see you or your organisation acknowledged as a research partner. This will entitle you to display your logo, a company description and contact details in the published book. For individuals, you will receive a personal thanks along with your photo (should you wish one to appear!) instead.